We came up with these fun frozen Minion Banana Yogurt Pops to celebrate the new Despicable Me 2 movie coming out in just a few days! Minions seem to be the favorite characters of the Despicable Me movies…at least my boys favorite! 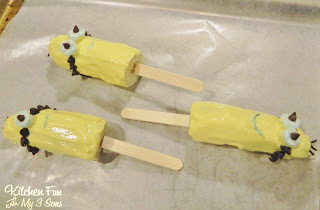 This is a super fun & healthy treat that the kids will love! 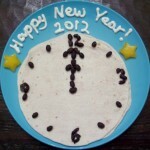 The kids will have so much fun making these themselves as well! Start out by cutting the bananas in half & push the popsicle stick in the bottom. 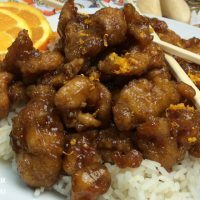 Place them on a cookie sheet lined with wax paper. Spread the lemon yogurt on top of the banana using a knife. 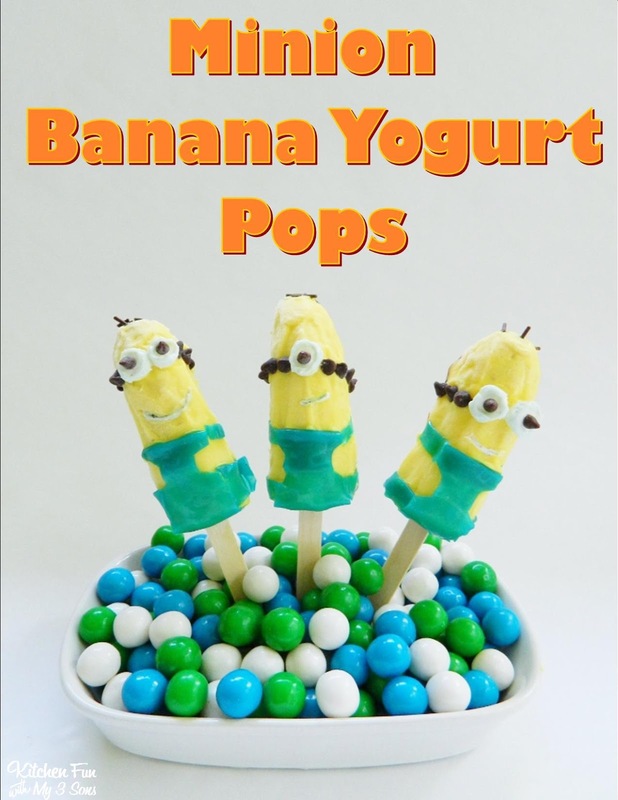 You can also use vanilla yogurt & 1 drop of yellow food coloring. Cut the mini marshmallows in half and place in to top for glasses. We used mini chocolate chips for the eyes & for the bands on the glasses. 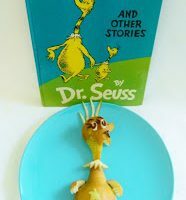 We put a tiny bit of gray food coloring in white frosting to make the mouth & around the mini marshmallow using a toothpick. We used chocolate jimmies for the hair. We cut up our blue fruit roll ups to make the outfit. They have Minion fruit roll ups sold in stores for the perfect color! Place them in the freezer for 1 hour…. Take them out of the freezer & they will look like this! 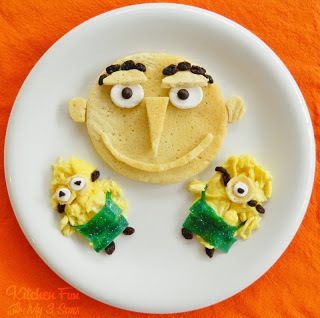 You can also check out our Despicable Me Breakfast HERE!! « Previous PostFun Finds Friday!! I love these! My boys are counting down the days until the movie comes out! how fun! you just have to love minions! oh I LOVE these!! So creative!!!! 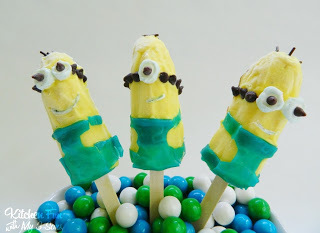 These look like such a fun snack! These are sooo cute! We are hosting an extra special month long linky party through all of July focusing on frozen Summertime treats and we would love for you to join us! The best part is there is also an amazing GIVEAWAY! 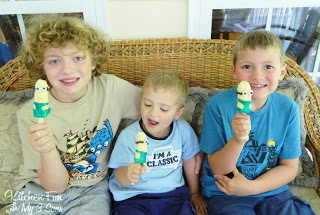 To get in on the action please visit us at We Scream for Ice Cream Linky Party + Giveaway! They are so cute! You are amazing! HAHA! Oh my goodness these are the cutest things!! How fun! I would LOVE to have you share these at my link party!! These are amazing! I love 'em! Pinned! Thanks for sharing on Two Cup Tuesday!